This recipe uses thick cut, Kettle style potato chips to create a beautiful crust on this oven fried chicken. I have replaced traditional wheat flour with potato starch to also lighten up the coating. You can use either dark or white meat, just keep them separate as the dark meat takes longer to bake. It is so much easier than traditional frying – not to mention a faster clean up. 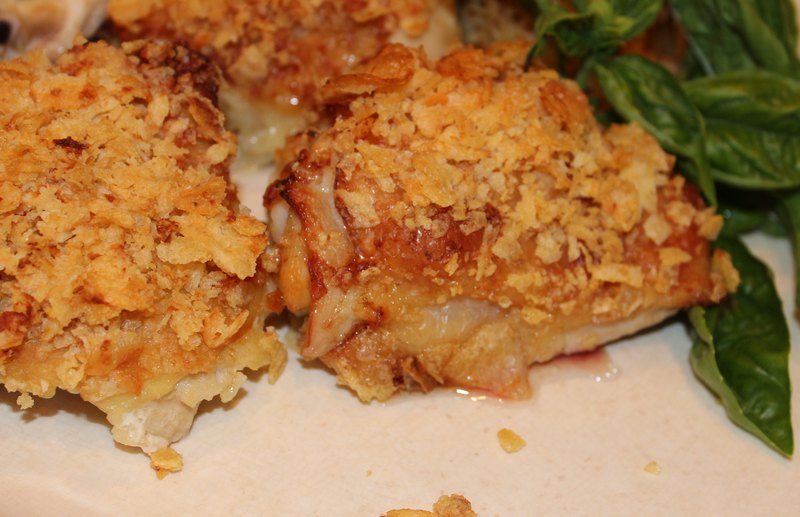 This entry was posted in Recipes and tagged chicken, Gluten-Free, Oven Fried, Potato Starch. Bookmark the permalink. I cant remember the last time I had fried chicken, and this looks delicious! I’m going to have to make this next time my nephews are visiting!